After a first encounter with the Narrative Lectionary during last program year, the Worship Teams have decided to use it for a second year. The Narrative Lectionary is a set of Bible readings that follows God's story from the start through the Bible. This year we'll be following readings for the Year of Luke. Like last year, our reading each week until Christmas came from the Old Testament. From Christmas through Easter, we hear Jesus' story from Luke. Then until Pentecost, we'll hear of the early church. To see the outline for the whole year, you can click here. Can’t Make it to Worship? We post audio and text files of sermons on our website, and also include a pdf of our weekly bulletin in the Thursday news email. If you’d like to receive those, please contact the church office. For general information and Narrative Lectionary FAQ, visit https://www.workingpreacher.org/narrative_faqs.aspx. Your Advent Worship Team recently had conversation about our capabilities and how we engage worship. We want you to remember that we stand and sit in worship for both theological and human reasons, but that you are always welcome to join in body and spirit however is best for you. Please stand, sit, laugh, cry, reflect, and participate in whatever way you need within the worship service. Weekly worship at Advent Lutheran is a vibrant experience, engaging our passions and concerns and faithful pondering, yet in a fairly casual setting with the sounds of children constantly bubbling around us. Our worship is enriched by a wide variety of volunteer musicians on piano, guitars, handchimes, congas, tambourine, flute, banjo, voice, and an occasional harmonica. Our beautiful and adaptable worship space in the Blessing Room is enhanced by designs from our Liturgical Arts Team. Also about once a month, we share worship services with our partner congregation, Community of Hope UCC. 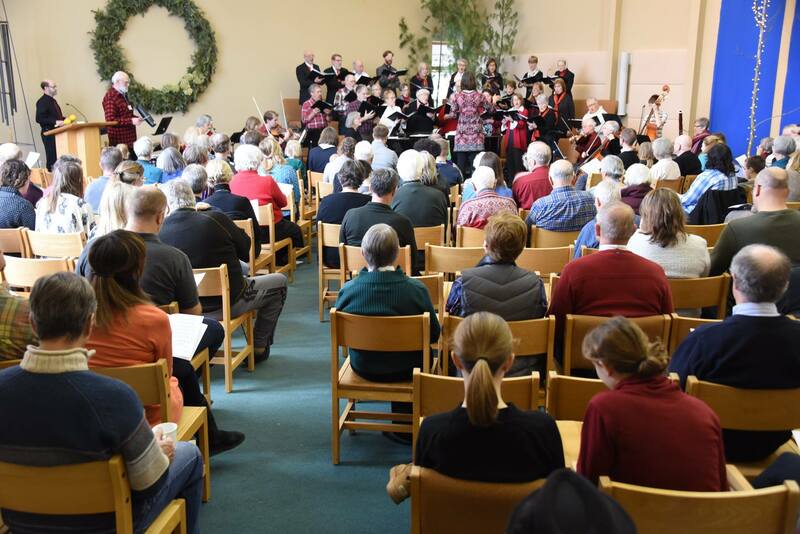 These services are typically a blend of styles and formats and may include Holy Week services, Lenten and summer outdoor midweek worship, festivals for Confirmation and celebrating Sunday School students, the “God’s Work. Our Hands” day of service, ecumenical occasions, and more. 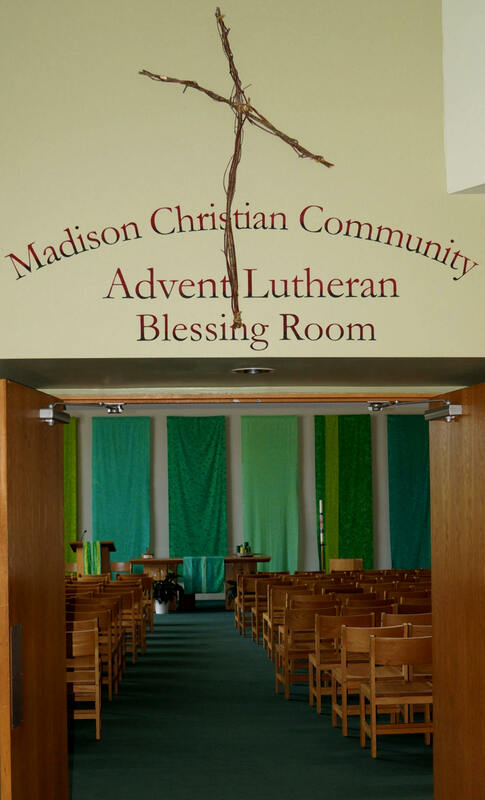 congregation, are in a partnership called Madison Christian Community. 7. The use of inclusive language in worship is valued. may receive Holy Communion at an early age. about this at the top right of this page. of being faithful to God. and use them in service. We, though many, are one body in Christ, and individually members of one another. Having gifts that differ according to the grace given to us, let us use them. Let love be genuine; hate what is evil, hold fast to what is good; love one another with filial affection; outdo one another in showing honor. Never flag in zeal, be aglow with the Spirit, serve the Lord. Rejoice in your hope, be patient in tribulation, be constant in prayer. 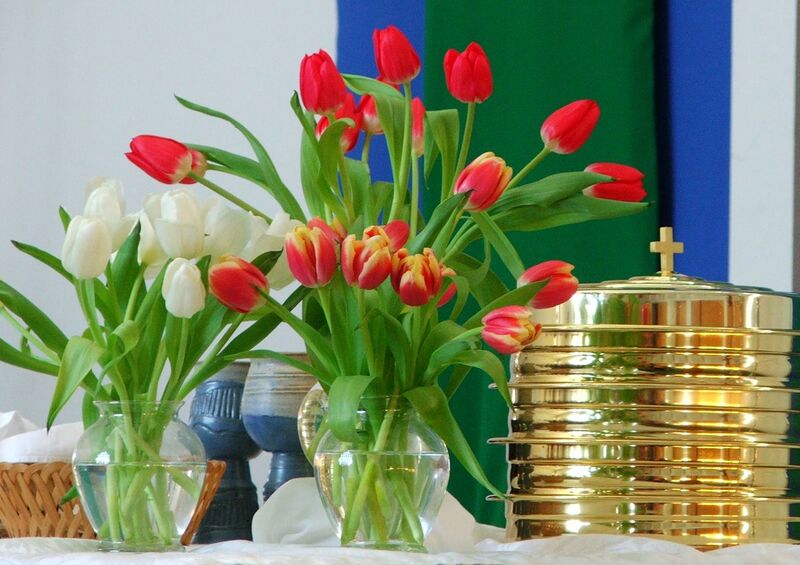 Contribute to the needs of the saints, practice hospitality. Within the Worship-to-Go booklet are some general Bible reading options, but if you’d specifically like to connect with what is read in worship and reflect on those. What is “Reconciling in Christ”? If you’re wondering what preaching is like in our congregation, or if you missed a sermon, or want to hear it again or share it with others, you can find past transcripts and sound recordings here. https://www.workingpreacher.org/ A website supported by Luther Seminary offers reflections on the weekly readings. http://textweek.com/ A clearing-house website with myriad resources on the lectionary. http://www.letallcreationpraise.org/ Pastor Nick helps administer this website on worshiping God with creation. In the early years, Advent was modest by necessity. Advent is now modest by choice because of its commitment to supporting other ministries with its dollars. Advent, after thought, conversation, study and prayer, has the courage to venture in new directions. In many respects Advent has been a countercultural community and for this reason the congregation will continue to draw people who have lost faith in the false promises of the world into this community of believers in the Triune God. To download the full transcript of "Transplanted for Mission" click here.